This blog documents my experiences and adventures while studying ants and their fascinating world. 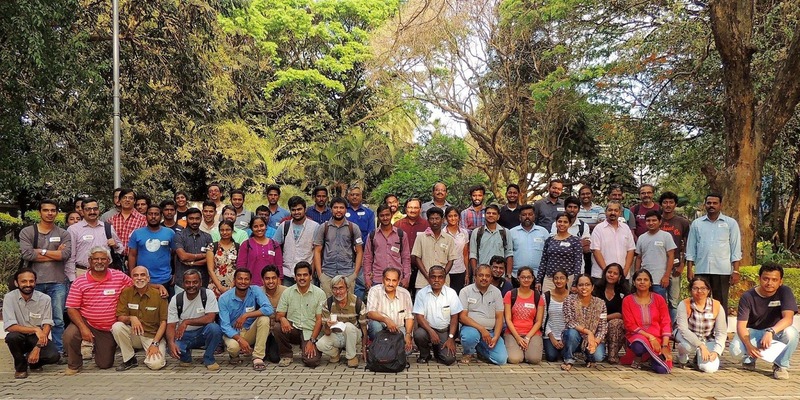 It has been a long time since I have updated my blog, primarily because of me shifting to my new research facility at the Centre for Ecological Sciences at the Indian Institute of Sciences- Bangalore, India for my Ph.D and being busy with settling down. The past eight odd months have been very slow with absolutely no field work or even a chance to look through specimens under a microscope, but now things are slowly picking up and a lot of exciting things are coming my way. A group photograph of all the participants of IBP-2016 Meet. It was also fun meeting up with Dr.Priyadarshan and Dr. Rengaian Ganesan from ATREE and discussing about ants with them! Do look into this video of the 12 minute presentation on Common Ants of India.